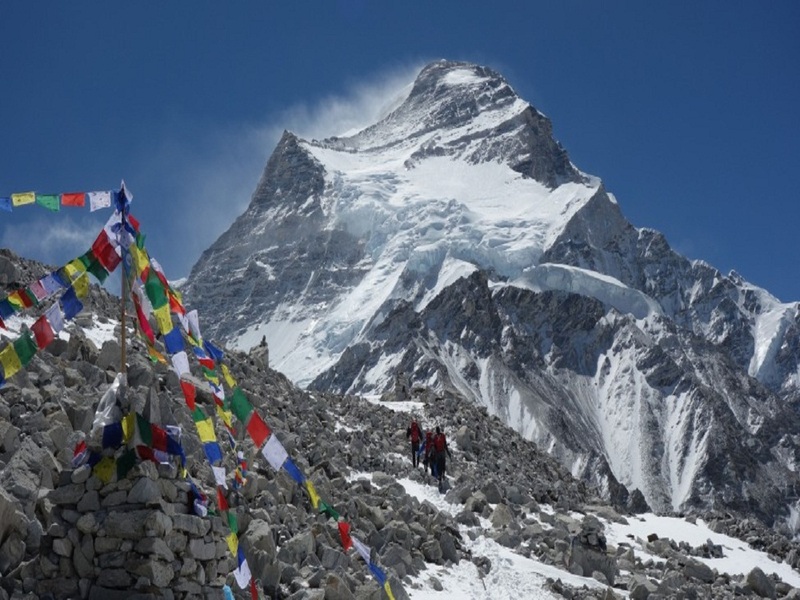 Cho-Oyu at 8201 metres/26,906 feet has only recently become a popular mountain to climb. 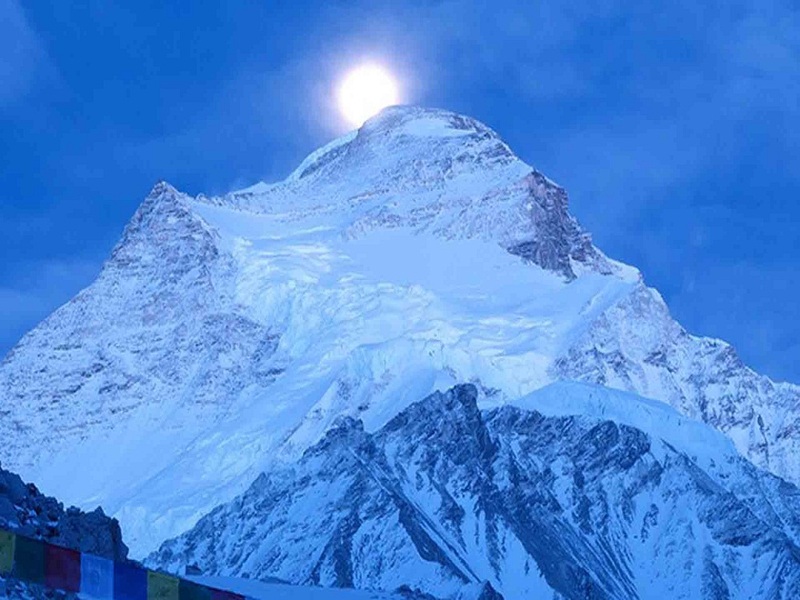 It is now known to be one of the most accessible of the world’s fourteen 8,000 metre/26,500 foot mountains. This is because the ascent to the summit plateau is short and direct, with a few small technical sections, less than 6 metres/20 feet high, climbed using fixed lines. 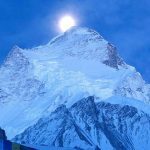 Additionally, the mountain can be easily reached by four-wheel-drive vehicle, and the trail to camp 1 at 6,400 metres/21,100 feet, is basically a steep walk on talus slopes, often done in sturdy leather trekking boots with good ankle support. Day 01: Upon arrival at the airport, welcome by our representative & transfer to the Hotel. At the hotel briefing about the program. 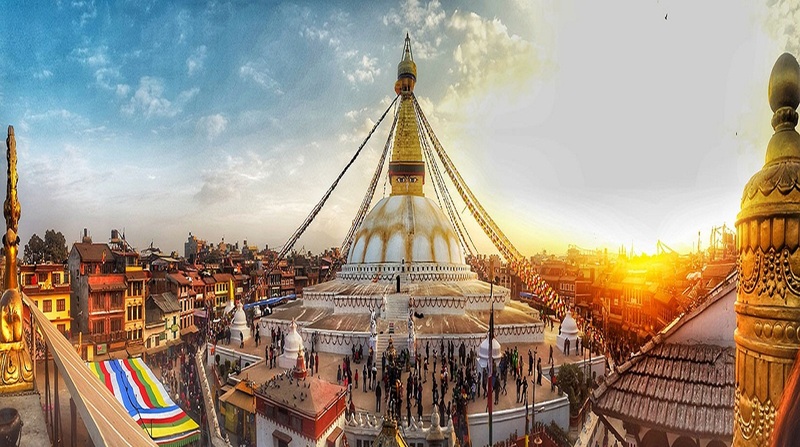 Day 02-03: Stay in Kathmandu and Tibet visa procedures. Day 04: Drive to Zangmu. Day 06: Nyalam, acclimatization day. Day 07: Drive to Tingri. 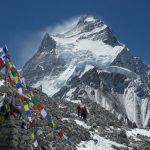 Day 08: Tingri, acclimatization day. Day 09: Drive to Base Camp. Day 11-13: Stay at Base Camp and prepare the ascent. Day 14: Advance Base Camp. Day 15: Stay at A.B.C. Day 38: Return to A.B.C. Day 40: Cleaning up Base Camp. Day 41: Drive to Zangmu. Day 43-44: Free day in Kathmandu. Day45: Transfer to the airport to fly to the onward destination.